Sears Holdings Corp. has joined the ranks of thousands of businesses small and large, by announcing it will move to a Defined Contribution model for employee health benefits in 2013. Through the plan, Sears will allocate a fixed dollar amount for employees and their dependents to purchase health insurance through a private health exchange. 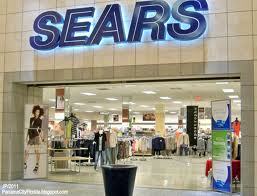 The goal of the shift is to combat the rising cost of providing health benefits to Sears’ 90,000 eligible employees. The cost per participant under traditional group health plans is on the rise. Employers are also feeling the pinch from minimum requirements such as the minimum percentage of the premium that must be paid by the employer, and the requirement that a minimum percentage of employees join the group plan. If either of those minimums is not met, the entire plan is canceled. Under the new plan, Sears will be able to cap their monthly health benefits cost per employee by giving a fixed dollar amount (the “defined contribution”) to each employee. Each employee will choose a health insurance plan on the private exchange that works for them, their spouses, and their dependents. For decades, U.S. employers have been offering a one-size-fits-all plan with benefits that some employees may not need. Defined Contribution gives employees more choice and mitigates an employer's financial risk from unexpected claims. The states and feds may still be hashing out the details of the state health exchanges, but businesses like Sears are pushing private exchanges forward. Sears employees will now have 15 choices for health insurance instead of the existing 4. Coverage options are available from five different medical insurers. The objective of providing more choice through an exchange is to create competition and drive prices down for the policyholders. Sears has not revealed how much it will allot for employees, but the amount will generally cover the insurance premium of one of the plans under the exchange. Depending on the amount and class of employee, employees could be responsible for paying a portion of the remainder of expenses they incur. All of the available plans provide catastrophic protection and cannot reject people for medical history or pre-existing conditions. It is anticipated that more companies will adopt the Defined Contribution healthcare model as they are faced with rising expenses as 2014 nears. "The best decision for most employers and their employees will be to eliminate their company-sponsored health insurance in favor of a defined contribution HRA solution," says renowned economist and Zane Benefits founder, Professor Paul Zane Pilzer. "That’s because employees no longer need employers to purchase quality health insurance, and, starting in 2014, employees earning less than 400% of the FPL (~$92,000 for a family of four) per year who purchase a personal policy will receive a large federal subsidy on their premium if their company doesn’t offer a group plan."